5. The ladies met the gorgeous & hilarious Sarah Hyland. The "Modern Family" star justified her love for cold pizza and much more during her appearance on Friday, January 30 - watch a clip of Sarah discussing the current season of her hit show. 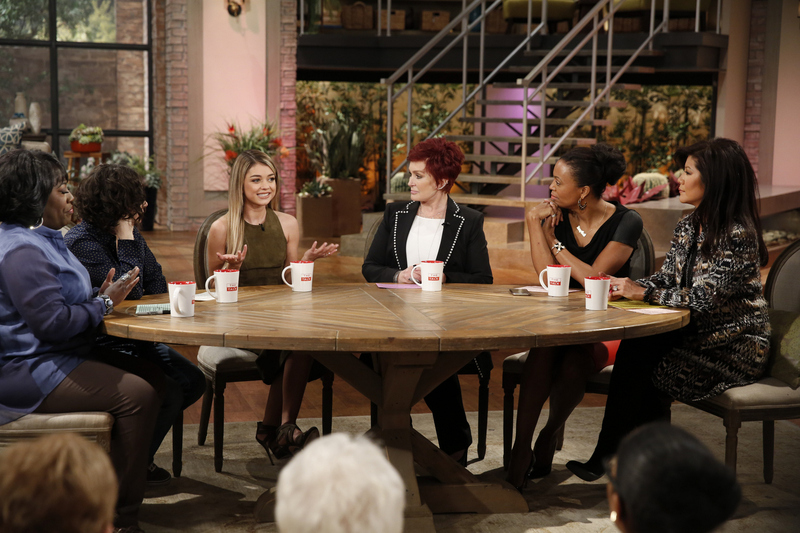 From left, Sheryl Underwood, Sara Gilbert, Sarah Hyland, Sharon Osbourne, Aisha Tyler and Julie Chen.